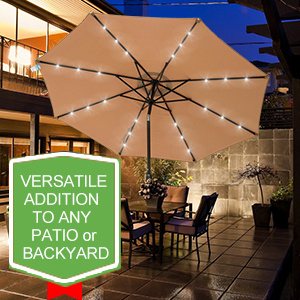 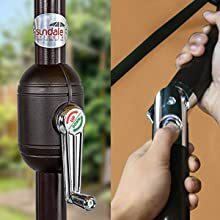 If you’re looking to add a little light and ambience to your next outdoor gathering, the Sundale Outdoor 7 ft Market Solar Lighted Patio Umbrella is a beautiful solution. 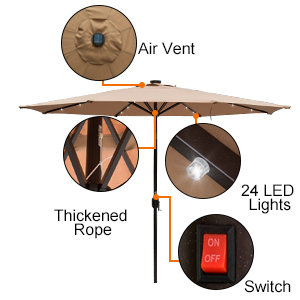 Turn the crank to open the canopy and reveal the 24 LED lights powered by the solar panel located on the top of the umbrella. 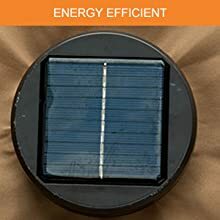 Turn on the lights with the easy-to-use switch to create a festive atmosphere. 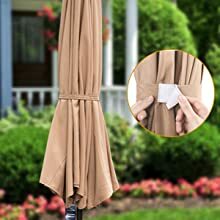 You can tilt the canopy into 3 positions for the perfect angle. 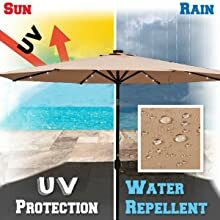 It’s durably crafted from waterproof, fade-resistant polyester shade that is available in your choice of color.